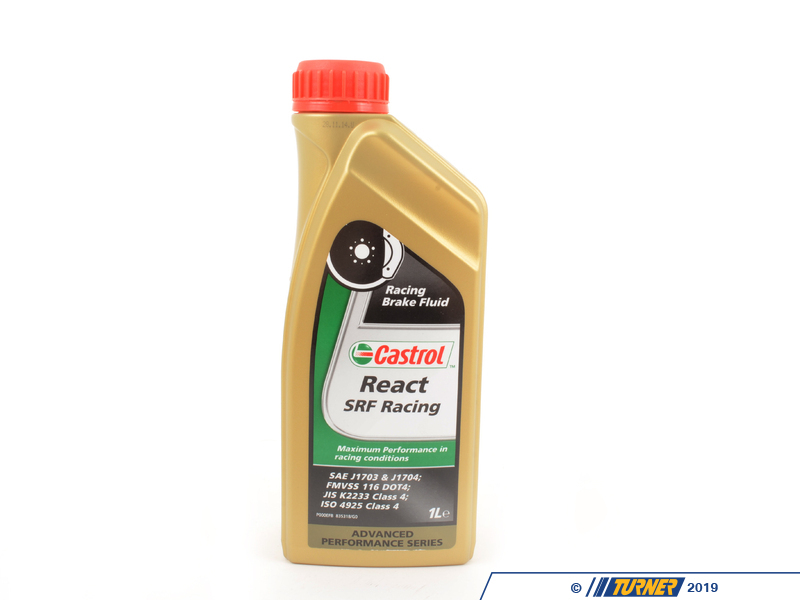 Castrol SRF is an ultra high performing silicone-based brake fluid that exceeds DOT5 boiling points. 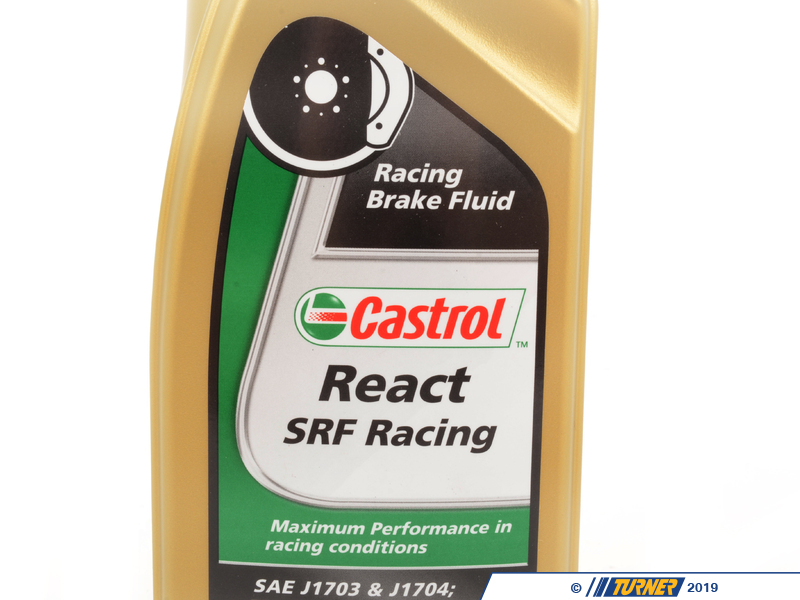 SRF is a truly impressive brake fluid with the highest boiling points of any brake fluid we currently sell. We have used it extensively in our Touring and GT race cars. It's a silicone-based fluid that is hydrophobic and will not absorb moisture. Moisture in other brake fluids is what will lower wet boiling points but SRF stays stable even at very high temperatures. SRF is compatible with the rubber seals and metals used in conventional glycol-based braking systems so it can be used in almost all cars. It's especially common in cars that are in storage for extended time (see below). Mixing silicone and glycol fluids is not recommended so SRF is best used with all new hydraulic components or by repeatedly flushing the old system with SRF until the old fluid is gone. Silicone fluids will need more frequent bleeding than conventional fluids. Since it does not absorb moisture, water will sit in the system and turn to vapor when it boils. The vapor, and any remaining water, will need to be bled out to avoid excessively spongy brakes and long pedal travel. Pooled water can also lead to rust so bleeding often is strongly recommended, especially on cars that sit for extended periods. A sealed bleeding tool works better than the traditional two-person method. 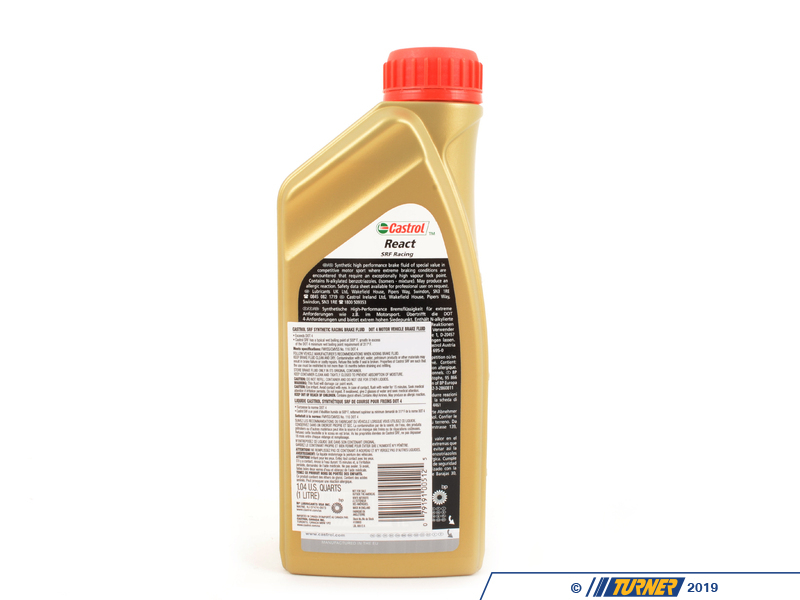 Product Dry Boiling Point Wet Boiling Point Viscosity DOT RatingCastrol SRF 312� C (594� F)* 270� C (518� F)* normal 4/5** - Castrol does not reveal the actual boiling points of SRF except to say "higher than 300� C" and it "exceeds the boiling point requirements of DOT5". The compressibility makes it similar to DOT3/DOT4 and is labeled as a DOT4 despite being a silicone fluid. 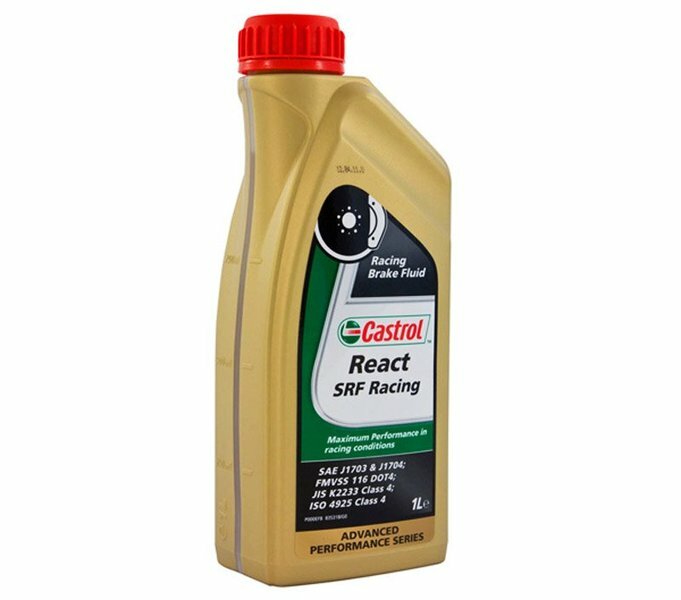 * - Castrol does not reveal the actual boiling points of SRF except to say "higher than 300° C" and it "exceeds the boiling point requirements of DOT5". The compressibility makes it similar to DOT3/DOT4 and is labeled as a DOT4 despite being a silicone fluid.